VideoTNT ? current version 2.0 available for download! VideoTNT lets you quickly and easily insert highly-impactful video into your posts and pages, then capitalise on grabbing thier attention! 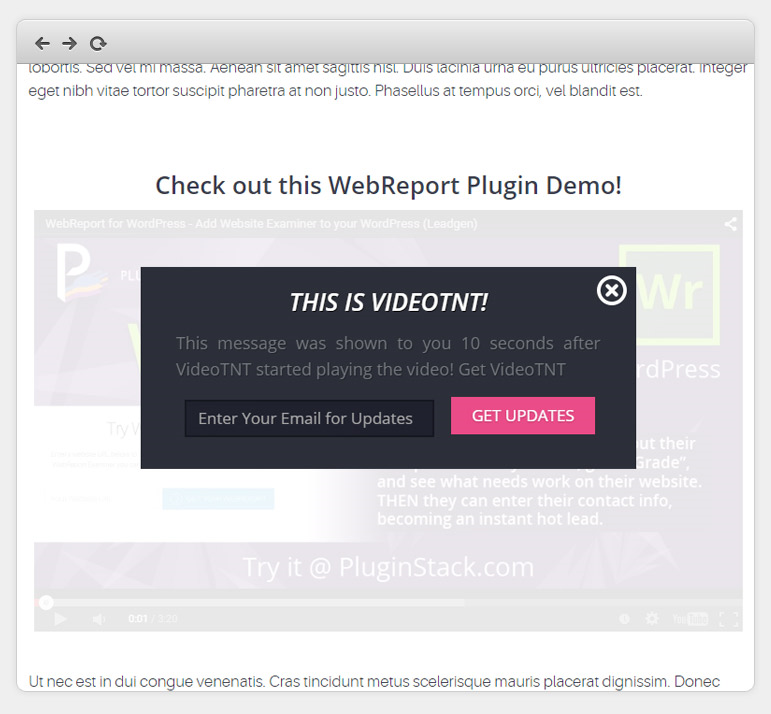 This easy-to-use plugin makes it easy to get more attention from your visitors, and to give them what they want. 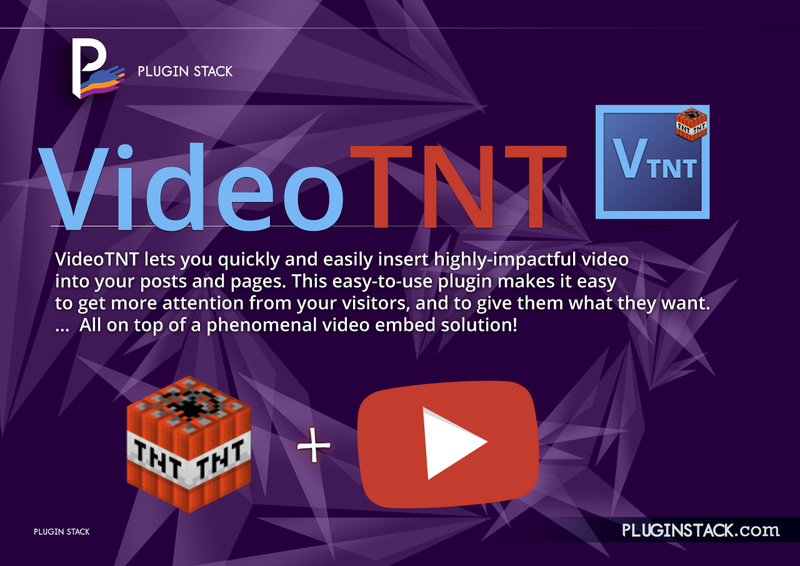 Whether you want to drive engagement and keep people on pages (boosts your Google Rankings), or to get people subscribed, or buying, VideoTNT has some seriously useful functionality that?ll enhance your website. Convert the viewers once engaged with on-video CTA?s!
? 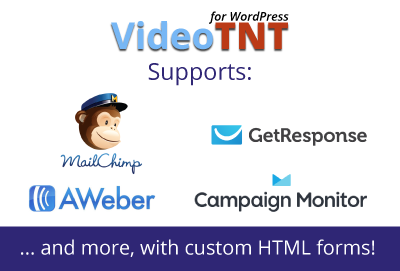 with 10x powerful built-in CTA pop-overs! 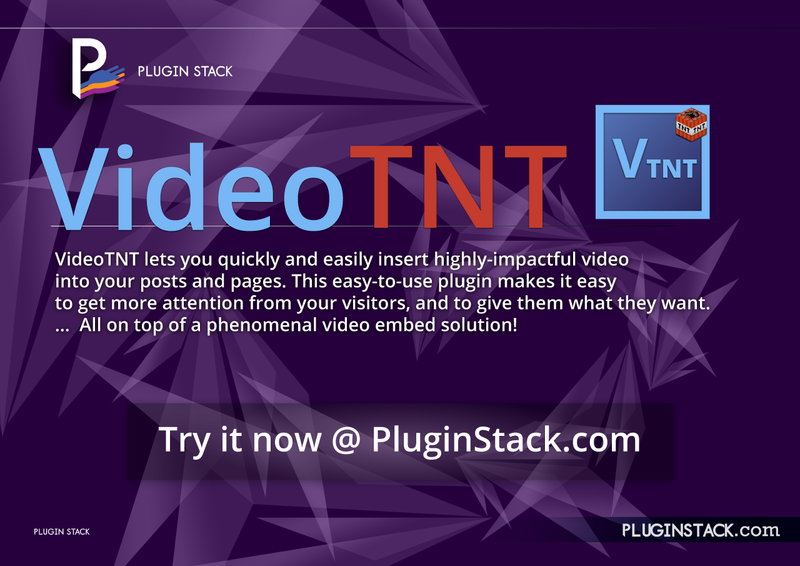 VideoTNT lets you bounce video out at your visitors. These videos get played more, (10x or more in our tests), they get watched for longer (driving up page-engagement times for SEO), and what?s more, as viewers like what they see, they often convert fantastically into subscribers (offer more video for their email! 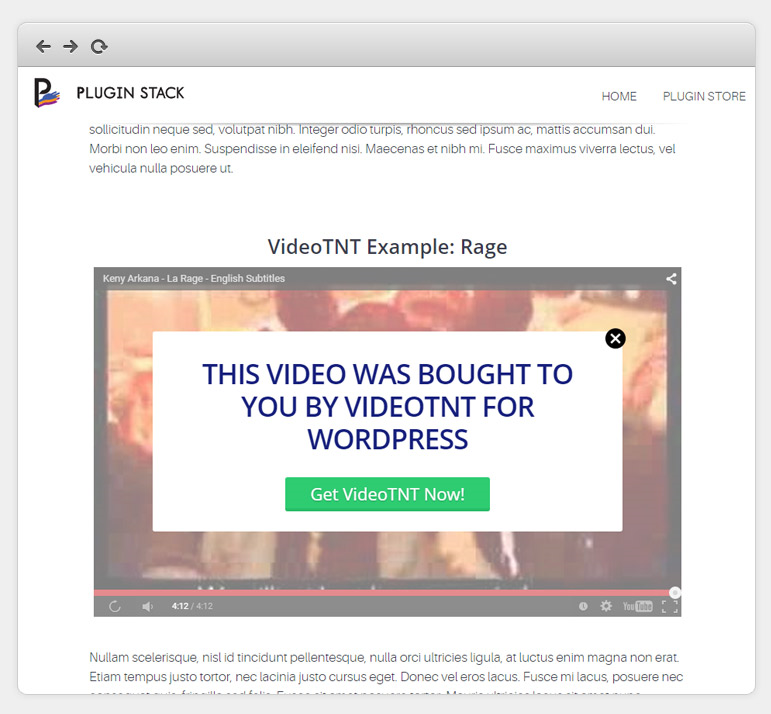 ), or sharers/buyers (with lots of custom CTA?s, this is easy with VideoTNT). Try VideoTNT, before you buy it. Any other provider via Custom HTML! New for V2.0: Easily override CSS and more, from settings! Add Depth to Your Content! All of this comes with a Super Easy Installer which works out of the box. You can install VideoTNT, add a video and insert the shortcode and have it working from day one. With 10x Customisable CTA forms it’s easy to modify, or tweak to fit with your look and feel, or theme. VideoTNT will work with all themes. It works fantastically with responsive themes, but because you can set each video’s dimensions specifically, (if you want to), it also works well on older non-responsive themes. Test drive or Purchase now ? Instant Download. >> Added "Quick Start Guide Video"